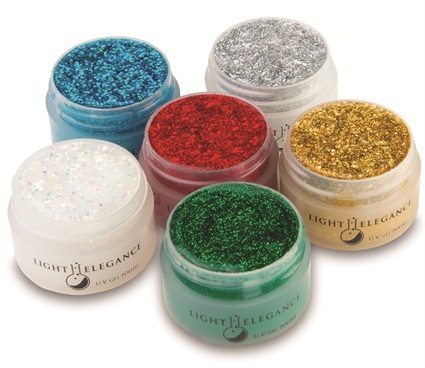 The Light Elegance potted Glitter Gel collection is as jam-packed as a holiday calendar with colors for each and every celebration. Whether popping the cork or trimming the tree, Glitter Gels capture all the magic of the season. Enjoy six new hues ranging from snow white to gold.